This has been a very difficult year for me and my family. I have seen communities torn apart by people who placed their personal grudges, agendas, and insecurities above the good of the society of which they are a part. I have watched people we thought were friends turn against us. I have dealt with people whose word is worthless. As we come to the close of such a year, it might be easy to say that it is not a time for gratitude but bitterness. The temptation to do so is quite strong. Too often, when there is bad and good together, it is too easy to fixate on the bad. To let the evil overshadow the good. This year has seen a lot of destruction in our world, but looked at another way, we could call it creative destruction. When those whom you believe are your friends turn on you, at first, you begin to doubt all of your friends. Who will turn next? Then you begin to doubt yourself. What did I do to drive them away? Then your true friends reveal themselves. Not necessarily in some great action, but simply in their continued presence. When the deceivers have all left, those who remain are the true friends, and there are many of them. So many. projects they do for our community and the world. During the darkest time, I had blocked or unfriended dozens of people on Facebook. I was fixated on what was lost until I noticed a curious thing. After so many had been purged from my connections, I looked at my list of friends and discovered that, not only was it not lower, it was in fact higher. Much higher. I have connected with hundreds of good people in the last year. collapse, we found ourselves freed to find new communities, new groups, new good people to surround ourselves with, new true causes to give our support to. for their fast and sincere friendship. As it turns out, they are not new. They have been here all along, but we had been dedicating our attention, our energy, our support elsewhere. Now, as things have become clearer, we have been able refocus our energy to places where it can do real good, where it will be appreciated, and where it will make us part of a community of good people who will make our lives richer for knowing them. In the same way that you pull weeds from a garden to allow the beautiful flowers to grow, the trials and tribulations of 2018 have allowed us to weed out the places and people who sapped out energy and our strength and allowed us to grow and develop relationships with amazing, wonderful people who will make our lives so much richer. I have so much to be grateful for. I am grateful for the wonderful community I have found at my church over the past year. I am grateful for the chance to become more involved in the good work of Rotary. I am grateful for the chance to have worked along so many of the best and brightest in local politics. I am grateful for the new friends I have met throughout this year. relative and I am eternally grateful. So, I suppose I should also be grateful to one more group of people. I am grateful to the liars, the schemers, and the people with evil in their hearts who brought all this upon us. They allowed me to really appreciate all the good people who are around me. They allowed me to refocus my efforts onto communities that deserve the love of myself and my family. They have allowed me to find the flowers among the weeds. Have a happy Thanksgiving, and take a moment between the turkey and the pie to be grateful for all the blessings that are around us. P.S. I usually add the photos after I write an article. As I went to add the photos to this article, I realized that I didn't have room for all the wonderful groups. I am deeply thankful to the great folks at BVM that I work with, to various individuals I have met along the way, people in the fandom communities who are still doing the good work to bring fellowship and good times to those who wear the gears and dream of the rocket ships. I'm sure I'm leaving out someone, but, as A Halo Called Fred sings, "We Love You All!" Today, I had the pleasure of volunteering with the wonderful people at my church as we hosted a fantastic Holiday Bazaar. 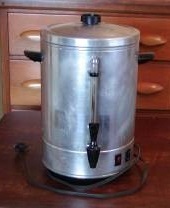 I was helping out in the kitchen, and there was one of those coffee urns that you often find at church events. These coffee urns are excellent devices for creating coffee when quantity is paramount and quality is irrelevant. What comes out of it is a powerful concoction which is good for keeping you going, although there are differing opinions as to whether it is due to the caffeine or the bitterness. As I tasted the distinctive flavor of urn coffee, I realized that I have very positive associations with bad coffee. Convention staff dens, all night game parties, intense campaigns, and other memorable events are often powered by the dark fuel that comes from these arcane machines. Some of my best times have been working long and late running a convention or another event, working on an intense project with a team, or something else which brings people together, and the coffee urn has been a part of many such events. The best times are naturally times spent with others, and the coffee urn, by its very nature, is a tool that only comes out for groups. 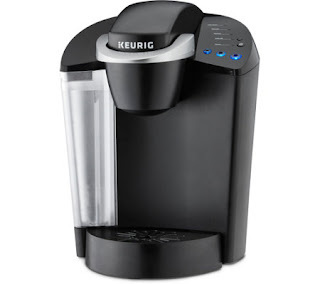 Most people don't need a 55 cup coffee maker for personal home use. So I suppose it makes sense that I would have such positive associations with the strong, bitter, slightly burned flavor of cheap beans brewed into a strong and bitter concoction. As I drank the coffee, I came to realize that I should seek more opportunities to drink such bad coffee, because the bad coffee comes with good people, exciting times, and good causes. I'm going to try to find some more places to drink bad coffee while doing good things. 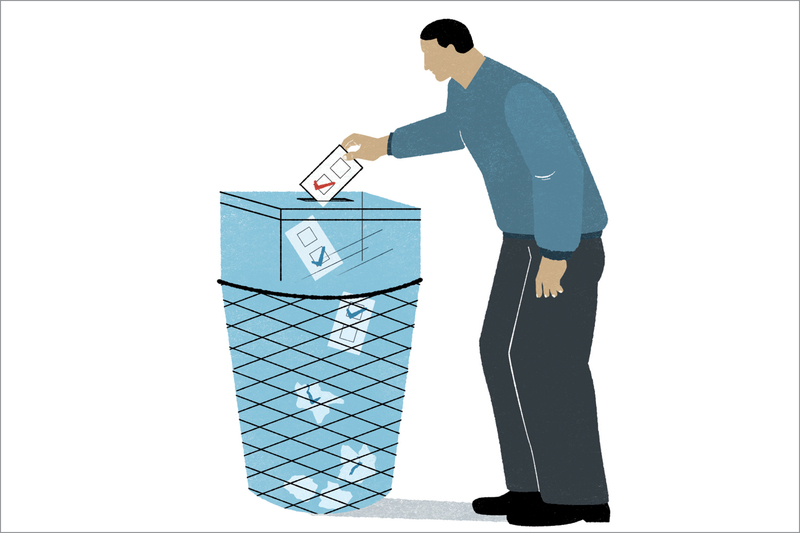 Will Your Vote Count on the Budget Referendum? In a recent article, I discussed some fundamental and serious flaws with the proposed charter for Groton, CT. Today, I'm going to explain how the referendum in the new charter does not actually give voters any control over the budget and can and will be completely ignored. The proponents of this new charter believe that the budget referendum will somehow be the cure for every problem that Groton has. Groton certainly has it's challenges, and reasonable people can differ on the efficacy of a budget referendum to fix them, but to do that the referendum must have the power to control the budget, and due to a flaw in 9.12.6.6 of the proposed referendum, the referendum does not actually control the budget. 9.12.6.6 Interim Budget and Fixing the Tax Rate In case a Budget is not approved by June 30, the budget submitted by the Town Council per Section 9.10.3 shall be utilized as an interim budget until a new Budget is approved by referendum. Within three (3) business days after an interim budget is approved goes in to effect, the Town Council will set a mill rate that shall be sufficient, with the income from other sources, to meet the estimated expenses of the Town for the next fiscal year. So there's an interim budget. That's a good solution to the budget chaos that neighboring towns have, right? Well, yes, it does prevent budget chaos, but it also removes the teeth from the referendum. Let's look at an example. Whatever the charter was supposed to do, it doesn't do it. Since the budget referendum must be held every two weeks after the initial vote fails, 9.12.6.6 effectively says that there can be up to three referendums before the interim budget takes effect. Let us imagine that the Town Council puts up a budget of $45,000,000 for an initial vote. The referendum fails, and the Town Council makes a good faith effort to offer a new budget with deep cuts, this time $43,000,000. It fails as well. So, the Town Council makes a third effort with a $41,000,000 budget. A $4,000,000 cut means a lot of cuts in services, but the people are speaking and they are trying to listen. The people vote no again. June 30th comes around and 9.12.6.6 comes into effect. The first, $45,000,000 budget goes into effect and the Town Council sets a mill rate accordingly. 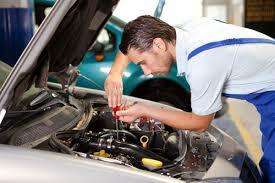 If your car keeps breaking down, you fix the car. You don't throw away your tool box. The initial budget that the Town Council wanted is now in effect. Why would they ever put forth another budget for vote that was lower? If no budget ever passes, the $45,000,000 sticks, and the Town Council has all the power to determine what gets voted on. After the Town Council offers $45,000,000 a couple more times, the referendum will either pass when people realize it is already in effect, or it will keep failing... until it passes because people realize it's already in effect. The following year, there's no reason for the Council to mess around. They'll just put forward the budget they want in the first place, and it doesn't matter if it passes or fails because after three votes it goes into effect anyway. Of course, this exercise in fake democracy costs taxpayers about $100,000 every year, or $400,000 over the course of a Town Council's four year term. That's the same amount it cost to get the Fitch Community Center up and running. That's a lot of money to waste to pretend the public can influence the budget. Ultimately, the check of the RTM and it's reduction of 1-2% every year from the budget is gone. The Board of Finance is powerless. The referendum is easily ignored. In any system with no checks and balances in place, the natural result is budgets slowly but inexorably growing. Spending money on a referendum that doesn't matter. Whatever this new charter was intended to do, it doesn't do it. The people of Groton trade away their representation through the RTM for a vote in a referendum that ultimately doesn't matter. It doesn't matter if you like big government or small government, lower taxes or more services, there is no possible agenda you could have that is served by this poorly written and deeply flawed charter. 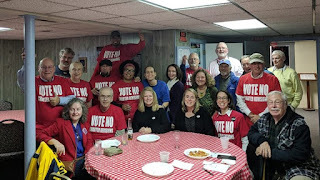 The only reasonable vote on the proposed Groton charter is NO. I have been writing a series of articles about the proposed charter revision for Groton, Connecticut. This article gives a good understanding to start from if you are not familiar with the issue. One of the great promises of Groton's proposed Charter Revision is that of better control of the budget, but is that promise really true? I'd like to discuss what I call The Christmas Tree Scenario. Let us imagine a town called Charter Town. Charter Town is a town of 40,000 people that operates under the Charter as proposed. We have been assured that the public will have sufficient knowledge of the budget to make an informed decision, and we're accepting that assumption for this scenario. In fact, we're going to assume that the public is not only fully knowledgeable but that the people of Charter Town are magically able to understand the importance of every aspect of the budget and know the motivations of the Town Councilors. The optimum budget for Charter Town this year is $100,000,000, and everyone would agree to that budget because everyone knows it's the right number. But Councilor A would really like to see the town dock renovated, which will cost $110,000. Councilor B is okay with that, as long as she can get a new sound system into the high school auditorium for $110,000. Councilor C really wants to see another police officer hired, which will cost $110,000. Etc. Etc. With all 9 Councilors each adding their own $110,000 addition. We call this the Christmas Tree Scenario because in certain situations, everyone will want to hang their own ornament on the Christmas tree. None of these little additions are inappropriate, and some would be nice to have, but they are also not necessary. They are what is often referred to at the Groton RTM as "nice to haves." But each little Nice to Have adds up. In this case, to a million dollars. 9 councilors, each adding their own small pet project add $1,000,000 to the budget, turning an optimum $100 million budget into a $101 million budget: a modest 1% increase. The well informed and rational voters are faced with a choice. Should they approve this budget, recognizing that the small additional expenditures are actually nice to have and don't cost that much, or should they vote to fail the budget, incurring the additional expense and uncertainty of one or more potential revotes? 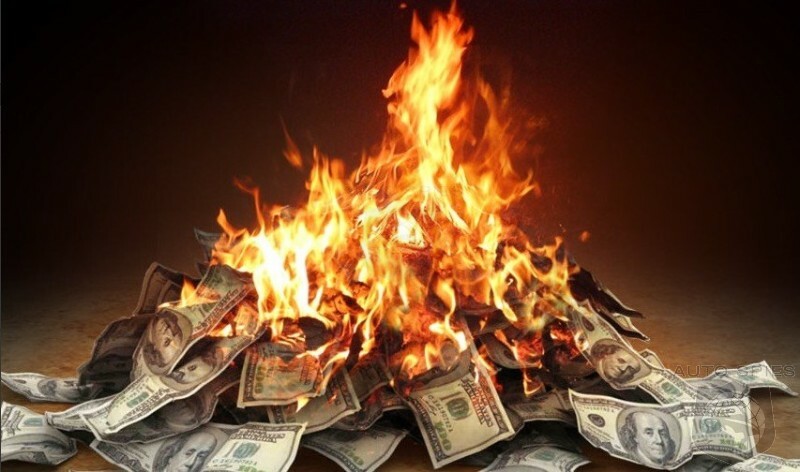 If Charter Town had a Representative Town Meeting reviewing the budget line by line, it could excise the unneeded line items and bring the budget down to the $100 million optimum budget, but having only a referendum, they can either say yes or no to the whole thing. Knowing that $100 million is perfect and $101 million is only a tiny bit more, a rational electorate can be expected to approve such a budget. Let us assume a 2% rate of inflation. In that case, next year's budget in Charter Town should be $102 million, but with last year's budget being $101 million, the budget with inflation is $103.02 million. More importantly, in the next cycle, everyone gets to hang an ornament on the budget tree again. We'll assume that they never add more than a million dollars of special projects. So, what does that do after a decade? By 2030, Charter Town's budget is $12,168,715.42 higher than it would have been with a line item budget process, or 10%. By 2065, it's 30% higher than it should have been. All because of a tiny increase of less than one percent of great projects that are simply a little more than is strictly necessary. A complaint of Groton's RTM is that it only trims a percentage point or two off of the budget. If Charter Town had an RTM that trimmed 1% from their budget, their taxes would be 10% lower in ten years. Perhaps you believe that the voters in Groton are more like the voters in another very similar town called Budget Town. They also have 40,000 residents and they also follow our proposed charter. The difference is that their voters are strict. They will have none of this one percent shenanigans. To the Town Council they say, "You trim the fat or we vote your budget down. We have the ultimate power here!" After all, the voters hold the final authority through the budget referendum... or do they. 9.12.6 Should either budget fail to be approved by a majority of those voting thereon, the Council shall, within seven days after a failed referendum, recommend a revised budget for each rejected budget, which may be less or greater than the failed budget, as the Council shall deem appropriate based on the results of the referendum. I bolded a key word in that section. It says "may" not "shall." That means that they Council can return the same budget in the next referendum, as Stonington did recently when they put up a budget that was rejected and then put up the same budget which was accepted. But what happens if the budget fails three times? Back to our Budget Town scenario, the Town Council puts up a $101 million budget in May, and it fails. It puts up the same budget in June, and it fails. It then returns the budget to the voters a third time, and fails again. It is now June 30th, the original budget which has failed in referendum three times now becomes the "interim budget," and the Town Council sets mill rates based on it. At this point, the Town Council can simply keep sending out the same budget every two weeks until either it becomes the next year or the voters give up an accept it. The check on this is that the Town Council can be voted out in the next election... except that the terms are now four years, so if they do this early in their term, it is likely it will be long lost to memory when an election finally comes around. After the budget passes, the Town Council sets the mill rate. This means that, when the voters vote, they do not actually know what the budget will give them in terms of a tax rate. It also means that the Town Council could choose to add a small margin of safety into the mill rate to make sure it will cover all expected expenses. They could do something modest, say 1%. That's just prudent budgeting, right? 9.15.2 The Council may make Emergency Appropriations not exceeding one-hundred thousand dollars ($100,000), by a vote of not less than seven (7) members of the Council, provided a public hearing, at which the public shall have an opportunity to be heard, shall be held prior to making such appropriations. The notice shall be made in accordance with Section 9.19. Such hearing and notice of hearing may be waived if the Council by an affirmative vote of not less than eight (8) of its members, shall decide that a delay in making the Emergency Appropriation would jeopardize the lives, health, or property of citizens. Remember how Councilor A wanted to put money into the town dock? Well, now it's really falling apart. It could become dangerous before the next budget cycle. Better make an emergency appropriate. After all, we have a little more than expected in the general fund. If the town dock repair is an emergency, that additional police officer that Councilor C wanted is definitely an emergency. The police force has been dangerously understaffed, and there is that unanticipated cash in the general fund. As a side note, let's also hope there's never a real emergency that requires more than $100,000, because there's no provision for doing so. In summary, the Town Council, which now has 4 year terms, has the ability to force a budget around referendum objections, and gets to set the mill rate after the budget is passed. 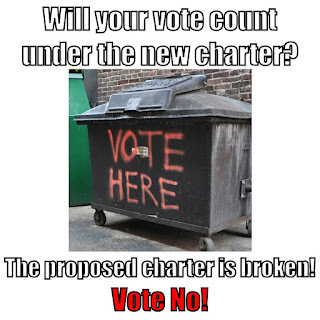 This Charter Revision definitely empowers someone, but it's not the voters. There are three crucial loopholes in the proposed charter for Groton, CT, which are exacerbated by the increase of their term from two years to four. The voters hold the final authority through the budget referendum... or do they. might act poorly. Bad rules encourage bad behavior. If the Town Council puts up a budget in May, and it fails, it can put up the same budget in June. When it fails, it can return the same budget to the voters a third time to be voted down a third time. The check on this is that the Town Council can be voted out in the next election... except that the terms are now four years, so if they do this early in their term, it is likely it will be long lost to memory when an election finally comes around, meaning there is really no check at all. The first thing that this means is that voters do not know what tax rate they are voting on. This is like buying a car knowing the sale price but not knowing your monthly payment. You're not paying $119,000,000, you're paying your share of taxes, but that's a mystery until the Town Council chooses it. While there are guidelines to what they should do, they have quite a bit of latitude, which becomes important when you consider the power of Emergency Allocation, which was previously checked by the RTM, but will be checked by no one at all under the proposed revision. emergency and act on it... unless it's over $100,000. Then we're just out of luck. With the agreement of 7 Councilors, they can agree that anything they like is an emergency, and many issues can be spun as emergencies. The police department is dangerously understaffed. Hiring another officer is an emergency. That road is a hazard, paving it is an emergency. That building is about to collapse. Fixing it is an emergency. Under the present system, all such transfers must be approved by the RTM, requiring accountability and giving a check in which the transfer could be prevented. Under the proposed charter, items that could not get approved in the referendum approved budget, could be slipped back in as "emergencies," and there's no one who can stop them. On the other hand, let's also hope there's never a real emergency that requires more than $100,000, because there's no provision for doing so. 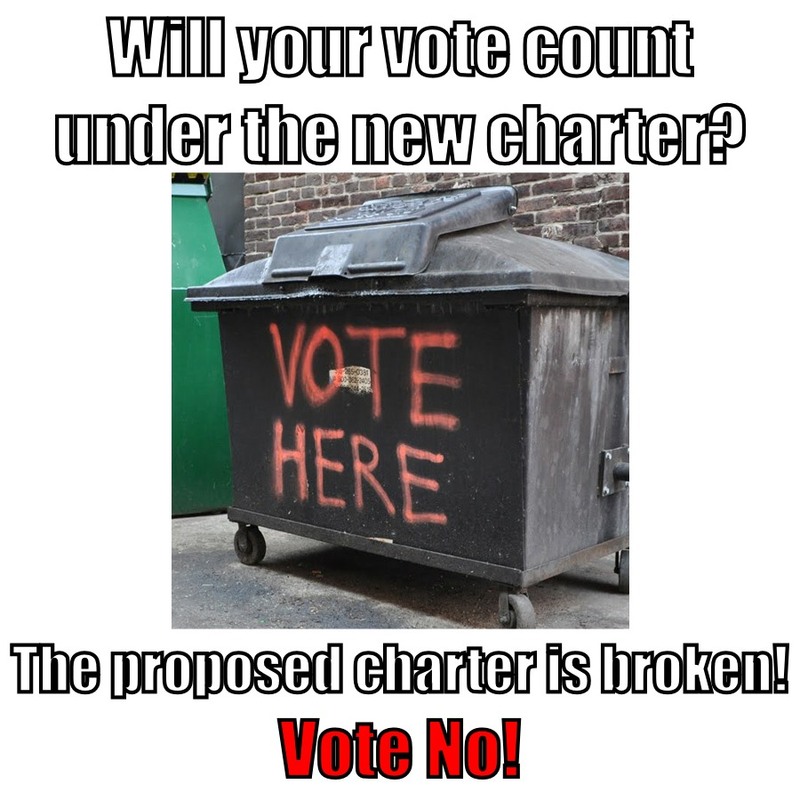 This Charter Revision definitely empowers someone, but it's not the voters. So, if you're planning to vote Yes on this revision because you think it will empower you as a voter, you may find yourself somewhat disappointed. 1. A single Assembly is liable to all the vices, follies and frailties of an individual. Subject to fits of humour, starts of passion, flights of enthusiasm, partialities of prejudice, and consequently productive of hasty results and absurd judgments: And all these errors ought to be corrected and defects supplied by some controuling power. 2. A single Assembly is apt to be avaricious, and in time will not scruple to exempt itself from burthens which it will lay, without compunction, on its constituents. 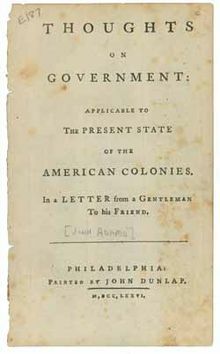 In 1776 John Adams was asked for suggestions on the form that the new colonial governments should take, and he responded with a treatise called Thoughts on Government, Applicable to the Present State of the American Colonies, in which he discussed the importance of having a bicameral rather than unicameral legislature. American government is based on the principle that voters with incomplete information will make choices to elect flawed human beings to represent them, as all humans are. Systems of checks and balances are created throughout the system to counterbalance the natural limitations of humans in roles of leadership. 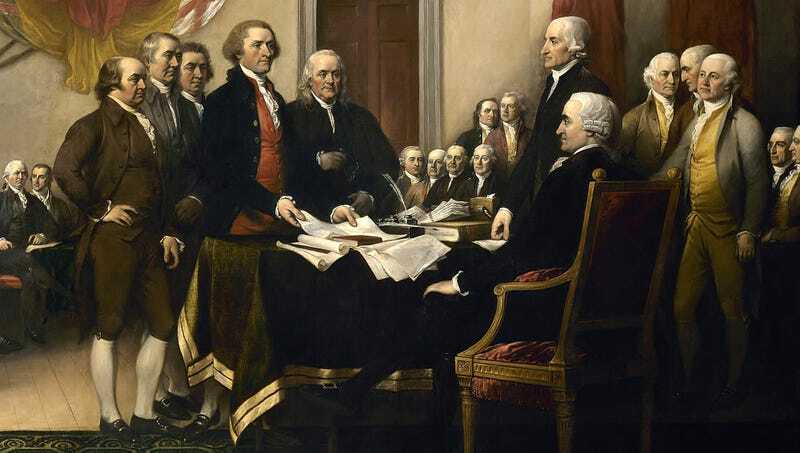 The Founding Fathers worked with the idea of the Few and the Many. The Few constitute the influential, the monied, the connected, those who are familiar with the gears and levers of government. The Many constitute the the general population who simply wish to live their lives, raise their families, and pursue happiness. Our state and federal government were created as they are so that one house (the Senate) might represent the Few, while the other (the House) represented the Many. In Groton, we see in structure of our town government an absolutely beautiful example of bicameral governance on a local level. In Groton, there is a Town Council of 9 members elected at large, and a Representative Town Meeting (RTM) of 41 members elected among 7 districts. Members of both bodies volunteer their time for the good of their community, but Town Councilors are expected to spend 15 hours and more every single week for what is ultimately a very thankless job. The RTM, by contrast, spends a few hours per month in meetings, except for during the month of May when they spend considerable time poring over every line of a 250 page budget. Naturally, the pool of potential Town Councilors, individuals who have the talent to serve and the willingness to invest hundreds of unpaid hours, is quite a bit more limited than the pool of those who might serve on the RTM. The result is a difference in the character of the two bodies. Town Councilors tend to be people of greater political involvement in the town and its history, which is multiplied once on the Council as they work closely with staff throughout the town. This is both an asset and a hindrance. It is an asset as their familiarity allows them to better understand the inner workings of our town. It is a hindrance as their increasing familiarity may cause them to overlook errors and inferior solutions, much as one ceases to notice a creaky step in their house after many years of living there. the New England town meeting. Covering this blindspot is the relative enthusiasm and inexperience of the RTM members. For any given issue, some of the members are encountering it for the first time, giving them the opportunity to approach it with fresh eyes, possibly asking questions that have not been asked before, while others have decades of experience in government giving them a seasoned outsider perspective. In the most extreme circumstances, the RTM can come together and even reverse actions of the Town Council or initiate their own actions. These tools are rarely employed, but their existence weighs into every decision that the Town Council makes. All of the meetings of the Town Council and the RTM are recorded by Groton Municipal Television and uploaded to YouTube. 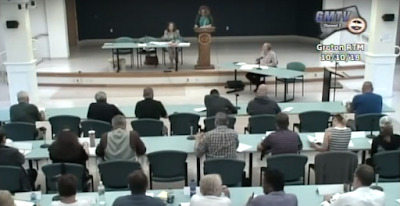 Watch a couple Town Council meetings and contrast them to RTM meetings. Much of the work of the Town Council is done behind the scenes in caucuses and planning meetings. Their meetings are quick, efficient, and orderly, which is good for the conduct of business but often fail to allow the viewer to fully grasp the function of the government. The RTM, by contrast, contains many members who are effectively members of the general public coming forward to serve their neighbors. They may have little more involvement in government affairs than anyone else living on their street, so the questions that they pose to the Town Manager, the Superintendent of Schools, or any other staff who come before the RTM are the questions of their neighbors. The RTM gives voice to every citizen, both through direct citizen comment and though their representatives. The RTM is one of the most incredible tools of democratic engagement. The question may be posed as to whether the RTM has been employed to its best potential here in the town of Groton, but it is like any tool. It must be employed by motivated and skilled hands to create a beneficial result. There can be no doubt that the mere capability of the RTM to veto an ordinance has caused the Town Council to give a second thought to a flawed ordinance. There can be no doubt that items of the budget have been refined and cut prior to coming to the RTM, knowing that the RTM would reduce it if the Town Council did not. There can be no doubt that the ability of the RTM to inquire has brought sunlight to many functions of our town. 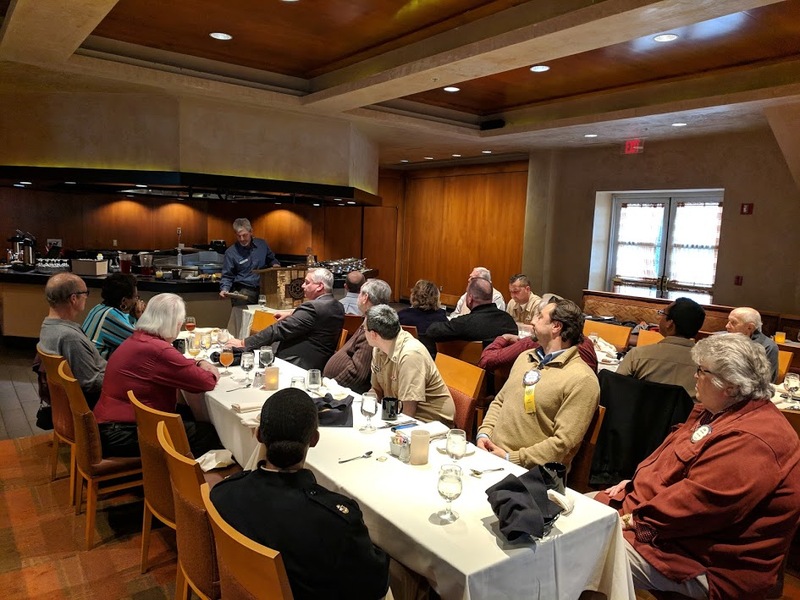 There can simply be no doubt that the town of Groton, Connecticut is a better governed town because of the powerful direct influence that the RTM allows the common citizen to have on the government process. 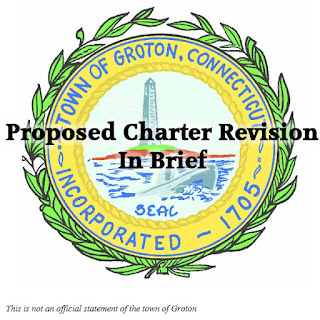 On November 6th, Groton, Connecticut will vote on a proposed revision to the Charter which governs the structure of the town. Presently, Groton has a 9 member Town Council and a 41 member (1 per 1000 residents) Representative Town Meeting. The Town Council is the seat of primary authority in the town. They have the power to create ordinances, develop the budget, and make contracts with employees among other powers. The Representative Town Meeting reviews the budget line by line, approving or reducing the Town Council's proposal. They can also restore funding if the Council cut the Town Manager's or Board of Education's recommendations. The RTM has the power to veto ordinances of the Town Council and even the Power of Initiative to create their own. It is effectively a bicameral legislature, with the Town Council as the upper house and the RTM as the lower house, with diminutive authority but providing a check on the power of the Town Council. 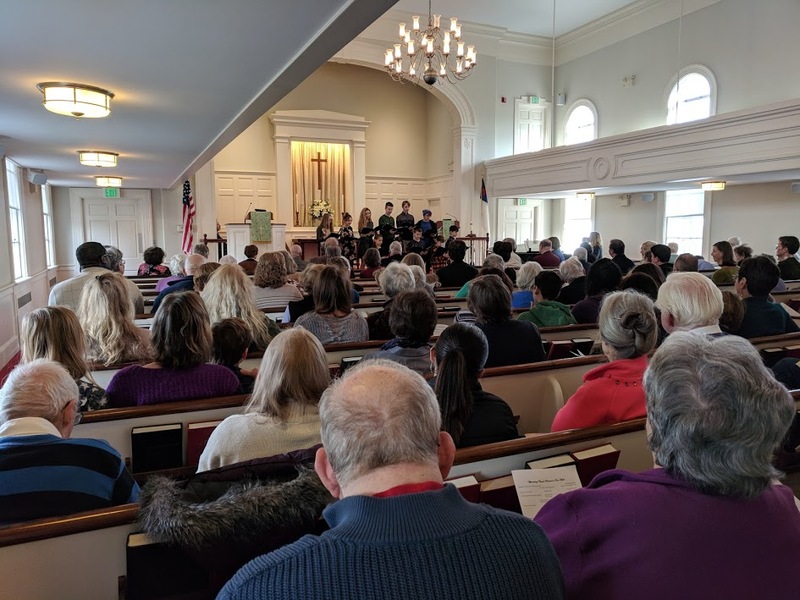 Groton's Right to Vote is the political action committee advocating for this revision, and you can find a summary of their arguments on their web site. The main thing that the charter revision will do is eliminate the RTM and create a Finance Board and budget referendum. Rather than the Town Council creating a budget to be reviewed by the RTM, the Finance Board will work with the Town Manager to create a budget recommendation. The Town Council will then take that recommendation and craft the actual budget. This budget will then be voted on in a referendum. 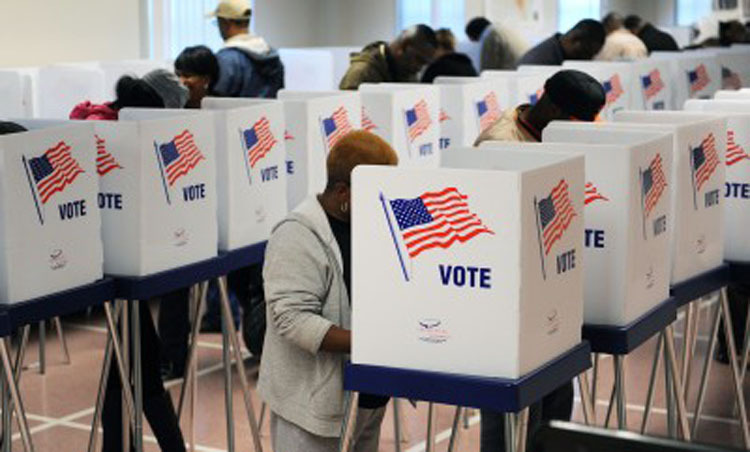 Gives citizens the right to vote on our annual budget, like they do in the City of Groton and the Towns of Stonington, East Lyme, Guilford, Clinton, Madison, Newtown, Cromwell and many other communities in CT. Town and Education budgets are approved separately. Greatly simplifies Town Government by eliminating the RTM, no other Town in Connecticut has a Town Council and an RTM like Groton has. Provides for a Board of Finance, a stand-alone elected body, to support the Town Council in financial matters and keep the public informed. Provides for a transparent annual budget development process with many opportunities for citizen input including mandatory budget guidance by the Town Council. Maintains the Town Council/Town Manager form of government. Town Council, sets policy for the Town, elected at-large, stays at 9 members. Town Manager executes policy and runs the town. Virtually no change to the core of our town government. The seven voting districts will remain as is. No changes. That might sound pretty good to some, but is it really? All that sounds pretty good, doesn't it. I mean, who doesn't want the "right to vote?" It's a little more complicated than that. In future articles, I'll be going into great depth on a number of these topics, but let's just spend a few moments on each of these points. a budget. Groton could see similar problems. 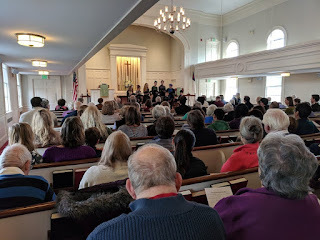 Massachusetts, which has town property taxes on average 1/3 what they are in Connecticut, has a town meeting in every town, but a referendum for any tax increase of more than 2.5%. This is called a Prop 2 1/2 Override. Thus, they are able to have an efficient and representative system of budget creation with a check against excessive tax increases. To many, this would seem to be a more reasonable, less costly form of a budget referendum for Groton to adopt, rather than the extreme version being proposed. Simple government is not necessarily better government. The RTM provides an opportunity for ordinary citizens to participate in the government process. Whether a town has a council or board of selectmen, the close involvement of the town leadership with the day to day workings of the government can induce a form of groupthink, sometimes causing them to overlook obvious solutions or problems that an outsider might spot at once. The RTM is a simple and effective solution to this problem, allowing 41 engaged citizens to take a second look at all the major activities of the town. balance of power which would create stability and fairness. Eliminating the RTM makes town government simpler and smaller in one way, but our government is intentionally built on a system of checks and balances. The President requires Senate approval for appointments. 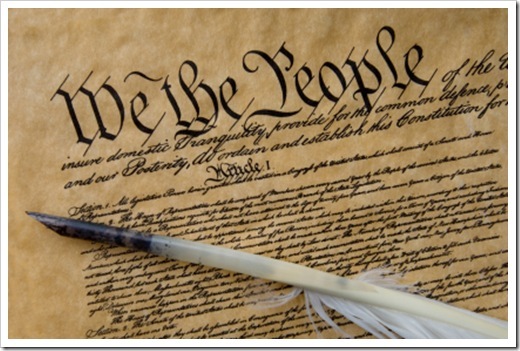 Congress must get a Presidential signature to pass a bill. The Judiciary may review the actions of either. In the same way, the RTM provides a check and review on the actions of the Town Council. Take away the RTM, and 5 members of the Town Council (a simple majority) have a lot more power with no check or balance. An argument of GRTV is that the early part of the budget process is behind closed doors, led by department heads, and that by the time the budget reaches the Town Council and the RTM, much of it is already set. The GRTV supporters argue that the new charter will create public hearings earlier in the process as the Board of Finance has meetings to create the budget. However, the truth is members of the public can speak to the Town Council and RTM anytime, all year long, and the Council holds a public hearing on the budget before the budget process begins. It’s not so clear anything the BOF does will be different. Furthermore, the BOF in Groton has no actual power or authority. They are “advisory” only. Groton will be the only town in the state with a BOF with no actual power or authority. In every other town that has a BOF, they have actual power. positions, as they have done in the past. The GRTV group argues that because the Town Council approves employee contracts, the RTM doesn’t have authority over the 80% of the budget that is employee costs. Nothing could be further from the truth! Most of the budget is made up of personnel costs, and those are based on contracts approved by the Town Council prior to the budget process. Only the Town Council and Board of Education approve contracts, and that won’t change with the new charter. But, all three bodies, the Council, BOE and RTM can control overall employee costs (80% of the budget) by reducing positions, which has been done over the past two decades. Many positions have been eliminated. Again, nothing will change in this regard, with the new charter. The claim that the RTM can’t act on 80% of the budget is inaccurate. jar. Many of these people become interested enough to go further and later run for Town Council or Board of Education. We lose the valuable learning opportunity for residents who want to be involved but cannot necessarily commit to weekly meetings all year long. In the next few weeks leading up to the November 6th vote, I will be writing a series of articles to provide additional background and information on various aspects of the proposed revision. You see, I came to this issue at first with not particular interest one way or the other, but the more I researched and studied, the more I found that our current system of government, while not perfect (what system is? ), has an incredible elegance in its system of checks and balances. I have found the proposed charter revision to be unrefined, unfinished, and undesirable for the future of our town, and I believe that as I share what I have learned with you, you will come to agree with me that this revision should be rejected. 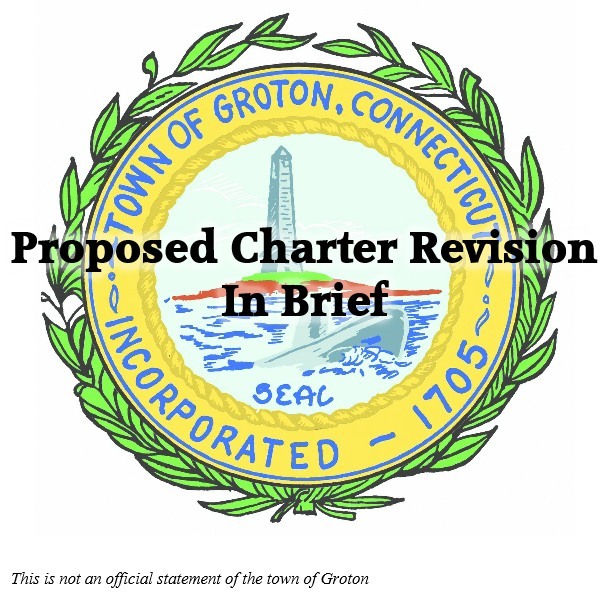 Groton's charter is not perfect, and revisions may be needed, but this revision, the one before us in November, is not the right choice for Groton. Michael Whitehouse presently serves a representative on the Representative Town Meeting from the Fourth District. His opinions do not represent any official stance of the town of Groton. His opinions are his alone, but he hopes that you may find them compelling enough to share them. Networking Events: But They All Know Each Other Already! You finally make it out to a networking event. Maybe a Business After Hours. Maybe some other kind of mixer. You come in, you pay your admission, you put your business card in the raffle basket. Now what? You look around the room and it’s full of people talking to each other. Everyone is engrossed in conversation. They all already know each other, and you’re the newbie trying to find your way in. It’s a high school dance all over again. Not pictured: a networking event. What would be the point of a networking event where everyone all knew each other. There have been some such events, and they tend to dwindle down and eventually fail entirely. Why? Because the entire purpose of a networking event is to meet people and make connections. What about those knots of people having long, engrossed conversations. 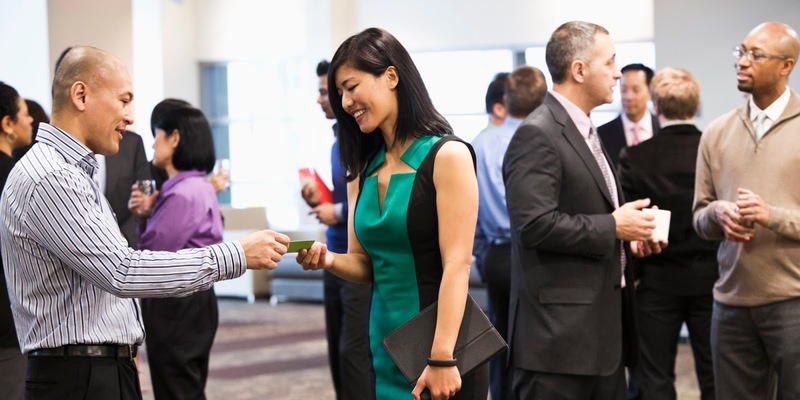 There are two such groups you will likely find at a networking event. The first is people from the same company who are there because the company pays for it and it’s a great place to catch up, have some wine from the open bar and have a nice after work experience. 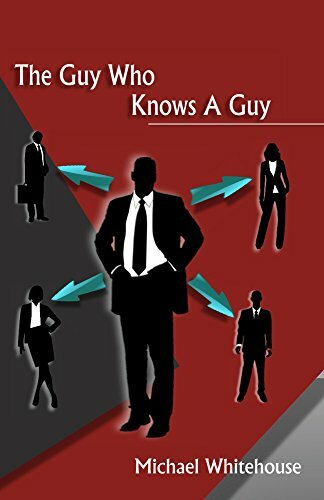 Often, these are not necessarily people who really need to network, but the company sends them out because even at the absolute minimum level of networking effort an opportunity might stumble upon you. You can usually tell these groups because everyone’s name tag has the same company on it. people go to meet new people. These are decent groups to approach because they are in a very social comfortable mood, and, deep down, they know that their job here is to meet new people who might be of benefit for their company, and you approaching them gives them the opportunity to do so without leaving their comfort zone. The other sort who will be having long engrossing conversations are people who just met each other. Think about it. If you see someone you know at an event, you might chat a little. How’s the wife? How’s the dog? How about that local sports team? Then, unless you have some actual business to talk about, chances are that you’ll move on. However, if you meet someone new, you don’t know anything about them. Even the most mundane questions are interesting. 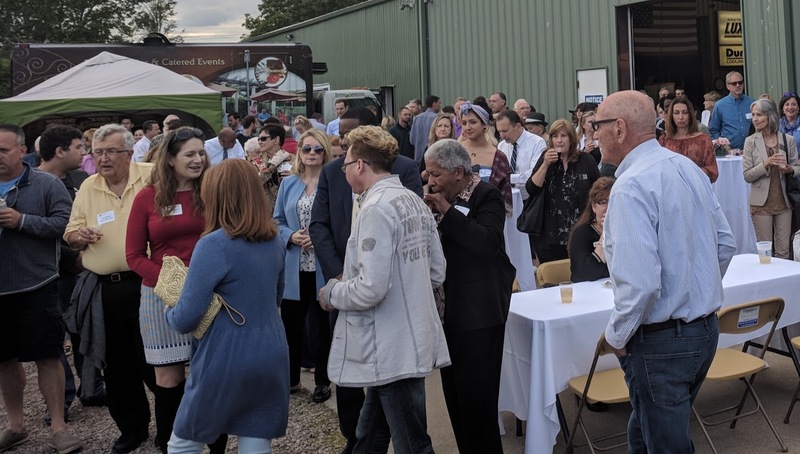 “Where do you work?” “What does your company do?” “Are you new to the area?” It’s all new ground, and you’re all there to meet new people, so the delving may be deep. These people are also great to approach. You are walking up to two or more people who are just feeling each other out. Even if you just join the conversation without saying much, you can still listen in and overhear their quick biographies. So, those groups that all look like they know each other? Either they do know each other and are looking to meet new people but are too shy to go out and meet them, or they don’t actually know each other and just met. The moral of the story is not to be afraid. Everyone at a networking event is there to network. It's not about exclusive cliques or sticking to your own circle. 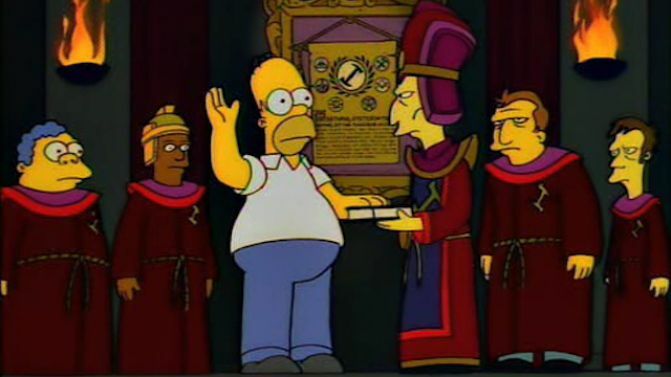 If people wanted to do that, they'd stay home or go join the Stonecutters. Definitely NOT Pictured: a networking event. 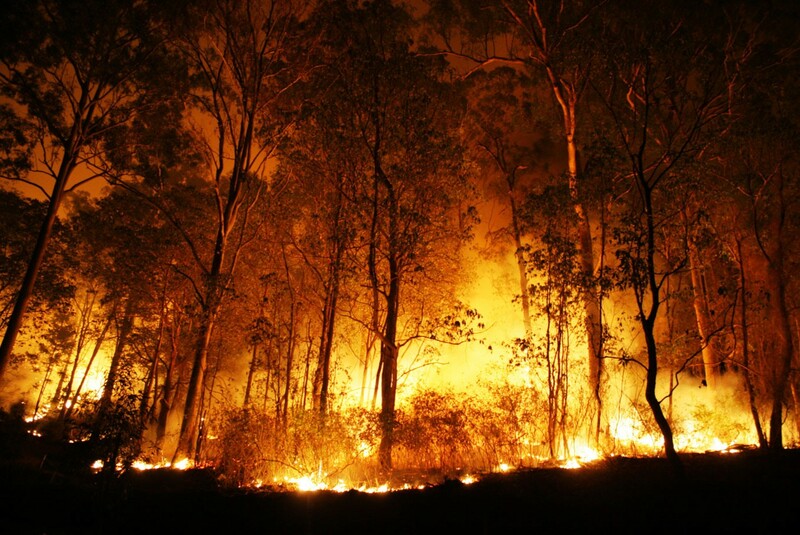 A recession is a bit like a forest fire. It causes great destruction, but it also serves to clear away debris and waste and make room for strong, healthy trees to thrive. In a recession, many businesses will fail, but the the strong ones will survive. The strongest will actually come out of the trial of a recession stronger than they went in, expanding market share and often having the opportunity to buy up their weaker competitors. Proper work during the boom times on establishing a powerful and robust brand is crucial to being one of the companies that thrives in the downturn rather than being one of those that is forced to sell out. In 1862, Clément Juglar discovered that the Juglar Cycle, in which he found that the booms and busts of the economy tended to cycle every 7 to 11 years. It is a natural part of the business cycle. 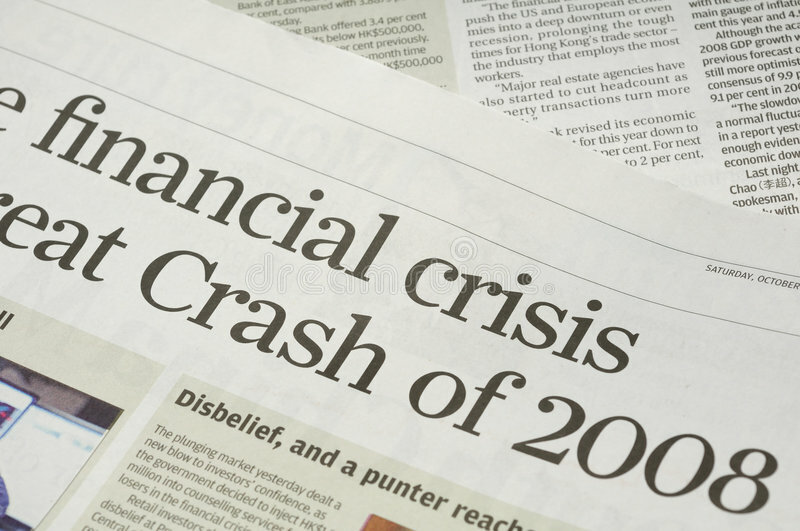 There are various factors that go into this: monetary policy, government policy, the need for the economy to correct itself, and more. Of course, we see this borne out in the last few recessions. Here are years that the last seven recessions started in the United States. They are actually an average of 6 years apart, and the last one started 11 years ago. We can discuss all kinds of complex economics and contentious politics when looking for reasons why the next recession will come, but it is simple math to see that the next recession is coming. Economists do not seem to believe that it is imminent, growth likely continuing into 2019, but whether it's in 2019 or 2022, now is the time for a business to prepare. As the Bible says, "Take a lesson from the ants, you lazybones. Learn from their ways and become wise! Though they have no prince or governor or ruler to make them work, they labor hard all summer, gathering food for the winter. (Proverbs 6:6-8)"
How do you prepare, and avoid King Solomon calling you "lazybones"? Naturally, you should make sure your business is on firm financial footing. Pay down debts. Maintain a cash reserve for unexpected downturns. But financial reserves enough are not enough to ensure that you are one of the businesses that will come out stronger rather than one of those that must sell out to a competitor. The most valuable investment that you can make today is in your brand reputation. I speak to many business owners who say, "I'm too busy. I'm turning away jobs. I don't need advertising right now." you don't need to advertise anymore. 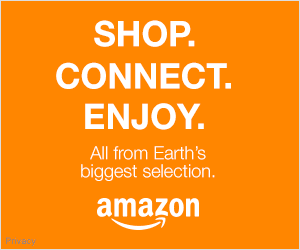 They are correct that they do not need direct response advertising like coupons and special deals. What they do need right now, however, is sponsorship and brand marketing. What's the difference? Direct response advertising is advertising that seeks an immediate result. It's almost like day trading. You are asking for something today. Use this coupon. Get that deal. Call now. Operators are standing by. You either get a result or do not in a very short period of time. This is your Google Ad Words, many TV and radio ads that call for immediate action, that sort of thing. Branding and sponsorship advertising is more like making an investment in the future of your business, specifically in the reputation of your business. 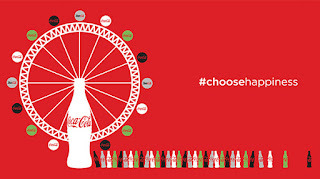 Branding is done by sponsoring events and organizations that people care about. 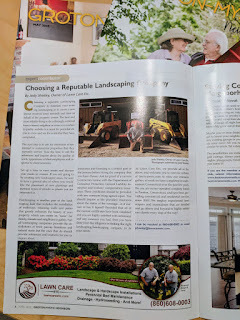 It is done by supporting community publications that people are connected with. It is also done with advertising, whether TV, radio, print or online, that focuses on the values and value proposition of your business rather than an immediate call to action. It's the difference between the friend who only calls you when they need something, and the friend who's always around occasionally asking for a favor. With branding and sponsorship, your business becomes that friend who is always around, not only there when they have their hand out. Right now, the economy is hot, and the pie is large. Everyone has a slice. In the foreseeable future, in the next 1-4 years, that pie will shrink. Those businesses that have invested their profits wisely, especially in building their awareness and reputation in the community will be those that will thrive in the next recession. Those that do not will find themselves losing their market, and possibly their business, to those that have. Many small businesses only focus on direct response advertising, so they may not be familiar with what brand marketing is. There are three key aspects to look at: Sponsorship, Brand Marketing, and Content Marketing. Sponsors at a local Little League field. Sponsorship means putting your brand identity adjacent to things that people feel positive about. Putting your name on a Little League team, sponsoring a community magazine, or supporting a Rotary event are examples of this. It makes people think of your business as local and as a part of the community rather than simply as another business after their money. Just because people know your business exists does not mean that their impression is positive. Placing your business adjacent to causes that they care about can move consumers from awareness of your business to appreciation for your business, a crucial improvement. 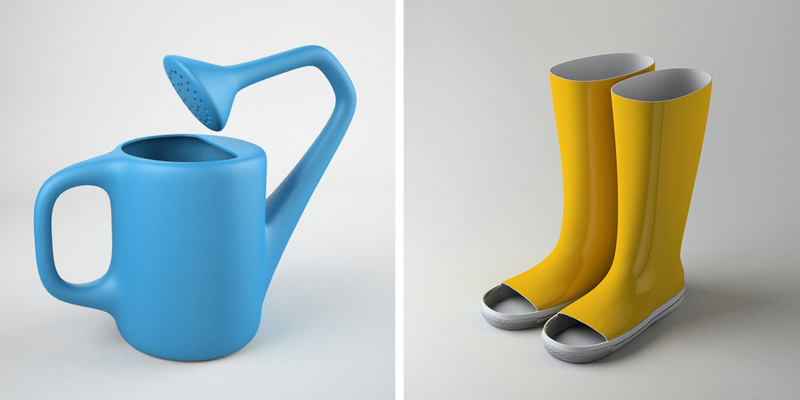 An example of brand marketing. Brand Marketing, is marketing with the intention of increasing awareness and positive perception of your business. 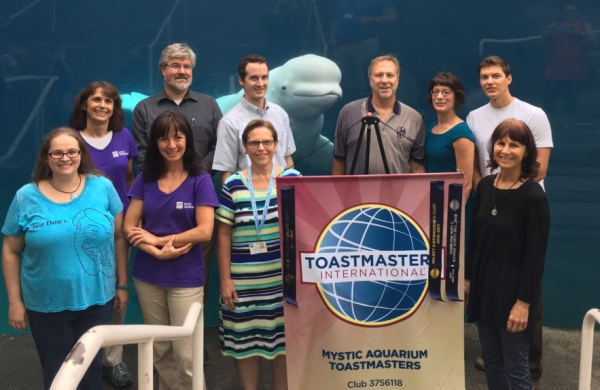 Awareness can be increased with sponsorship activity, and it can also be done by putting your brand, logo, slogan, jingle, or face in places where people will see it consistently (many times) and persistently (over a long period). You can engage in brand marketing on any platform, but it is more cost effective on some platforms than other. Branding on television is prohibitively expensive for all but the largest companies. Branding on most online platforms like Google AdWords and Facebook is nearly impossible given their shifting algorithms. Community magazines can be very effective at branding to a targeted market. 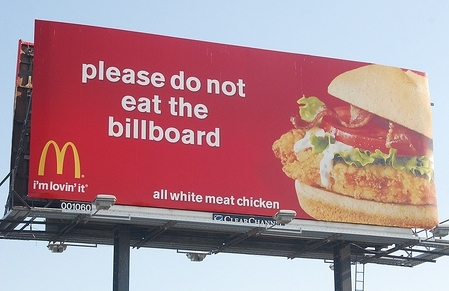 Billboards can also be effective, although it is more difficult to pinpoint the market. Content Marketing is a form of marketing that puts a deeper message than simply your brand and product or service offerings. It is sharing content such as expert advice and valuable resources. It can also take the form of giving people a deeper familiarity with your business, such as business history, employee biographies, and the like. Either way, the goal is to make the market see your company are more than just a logo and a quote, but to make it human, deep, and familiar to them. Content can take a variety of forms: print articles, online writing, podcasts, video, audio, and more. It is important to realize that there are two key elements to content: the quality of the content itself and having a strategy to make sure that people actually consume the content. The greatest article in the world will bring no customers to your business if no one reads it. I have seen amazing videos on YouTube with 50 views on them. Tools like blogs and newsletters can be a very effective method for driving content to your existing customers and those already familiar with your business. How do you push that great content to the rest of the community? The best way to ensure that the broader public consumes your content is to place it in a platform which they are already engaging with. The ideal, although it can be difficult to achieve, is to become an expert contributor to a community publication that has high engagement or to have a show on local television or radio. This article, for example, is an example of Content Marketing. I am using it to share important information, to build relationships with my readers, and to establish a reputation for expertise. Marketing is a complex and ever changing field. If you have questions, feel free to reach out to me at feedback@michaelwhitehouse.org or call 203-707-1245, and I'd be happy to help or discuss consulting options. I am also available to speak to your organization. Contact me for details.